Last Friday, the UN Security Council held a meeting organized under the title “Illegal Israeli Settlements: A Threat to Peace and the Two-State Solution.” Americans for Peace Now proudly took part in that event, offering testimony grounded in love for Israel and expressing an unwavering commitment to Israel’s security and its survival as a democracy and a state rooted in the Jewish values expressed in its Declaration of Independence. Of course, that testimony also dealt with the settlements, explaining why they are detrimental to the cause of Israeli-Palestinian peace and therefore to Israel’s national security interests. 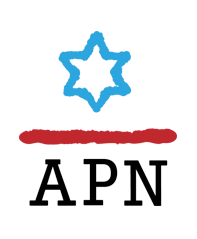 “Yes, Israelis, We Must Wash Our Dirty Laundry in Public,” Zeev Sternhell’s op-ed argues APN is worthy of support for appearing before the UNSC. “With UNESCO vote, Palestinians’ bid for attention backfires,” APN among those criticizing UNESCO for one-sided resolution. “Why human rights NGOs are losing support of Israeli public,” Peace Now’s Avi Bouskila says Peace Now opted to not participate in UNSC discussion on Israel-Palestine so as not to alienate the Israeli public. “US again expresses support for Israeli far-left NGOs,” US Ambassador to the UN thanks APN for sharing expertise on West Bank settlements. “Washington ‘grateful’ to B’Tselem,” State Department says it’s grateful for APN and B’Tselem’s efforts. “US State Department ‘grateful” to B’Tselem,” State Department Spokesman says US is grateful for organizations like Peace Now and B’Tselem. “If Israel Lets in Palestinian Refugees, Will it Lose its Jewish Character?” Op-ed praises APN’s Lara Friedman for UNSC speech. “Netanyahu Slams Humn Rights NGO B’Tselem for Joining ‘Chorus of Slander’ Against Israel,” Netanyahu slams APN and B’Tselem for appearing before UNSC regarding West Bank settlements. “Netanyahu vows to bar national service volunteers from B’Tselem,” Netanyahu lashes out against APN and B’Tselem for their testimony on Israeli settlements before the UNSC. “Netanyahu attacks ‘ridiculous’ NGO B’Tselem over UN comments,” Netanyahu attacks APN and B’Tselem for UNSC testimony regarding West Bank settlements. “B’Tselem under fire for planned UN presentation on settlements,” discusses the criticism that the testifying organizations and their representatives, such as APN’s Lara Friedman, are receiving. “Palestinians push for UN membership and against settlements,” discusses Palestinian initiatives at the UN in the context of the UN Security Council session on Israeli settlements, which APN will participate in. “B’Tselem, Peace Now to speak to UNSC against settlements,” APN’s Lara Friedman to address the UN Security Council regarding settlements. “’Here To Stay’ in Shilo,” quotes Hagit Ofran, director of Peace Now’s Settlement Watch program, saying the new housing proposed for land near Shilo, including 41 apartments earmarked for residents of Amona, an unauthorized outpost slated for destruction by Dec. 31, would be the start of a new settlement, not an expansion of an existing settlement. “Netanyahu speaks to Kerry to calm US over settler plan,” Peace Now says new construction in the West Bank amounts to the establishment of a new settlement. The opinion piece by Rabbi Abraham Cooper (“Museum of Tolerance not being built atop Muslim cemetery,” Sept. 23) takes issue with my assertion that the Wiesenthal Center is knowingly building its Museum of Tolerance at the site of a historic Muslim cemetery and that bones of people buried there have been dug up to make room for the museum (“American Jewish progressives must act to defend their values in Israel,” Sept. 16). My assertion is based on facts. These facts have been discussed in Israeli courts and in the Israeli public arena, and are included in Israel’s Supreme Court ruling. The heart of this ruling was not the question of whether there were skeletons buried where the museum now stands, but the manner in which the bones in the “Purple Zone” would be handled. “Monitoring group: West Bank settlement construction has quadrupled,” draws on Peace Now’s Settlement Watch data. “Israel Defends Planned West Bank Construction,” an article on tension in US-Israel relations over settlements quotes Peace Now statistics. “US invokes Peres legacy in biting condemnation of settlement expansion,” Peace Now blasts Israeli government for approving hundred new homes for settlers in Shiloh. “Report: Nearly 100 housing units to replace Amona outpost,” quotes Peace Now’s responses to the advancement of plans for 98 settlement homes near Shiloh. “Plans for 98 new settler homes advance,” Peace Now draws attention to the Israeli Higher Planning Council’s advancement of plans for 98 new homes in Shiloh settlement. “Israel approves 300 new West Bank settlement homes after Amona demolition order,” Peace Now says the Israeli government is set to approve construction of 300 new housing units near Shiloh. “Israeli settlements in West Bank up 41 percent,” Peace Now criticizes increased construction in West Bank settlements. “Israel increases settlement starts by 40% in first half of 2016,” Peace Now cites official figures that show the largest increase in settlement construction since January 2014. “West Bank settler housing starts up 17% in 2016,” Peace Now says Netanyahu’s government’s investment in settlements is leading Israel toward a one-state reality. “Peace Now: Israeli settlement construction up 40%,” highlights Peace Now’s statements regarding the recent data released by the Israeli Central Bureau of Statistics (ICBS). “Top Israeli court orders demolition of rogue outpost in West Bank settlement bloc,” The court order followed the petition by Peace Now and Palestinian residents of Al Khader who claimed the outpost was constructed illegally on Palestinian-owned land. “Israel approves more than 400 new West Bank settlement homes,” Peace Now quoted that Israeli Authorities approved 466 settlement homes in the Occupied West Bank despite growing international criticism. “Israel approves 284 new West Bank housing units, draws US ire,” Peace Now quoted saying the Civil Administration approved a 234-unit nursing home in Elkana, 30 houses in Beit Arye, and 20 houses in Givat Zeev. “Additional West Bank construction approved and retroactively sanctioned,” Peace Now quoted saying Netanyahu’s government “continues to plan and build all over the West Bank, while also giving settlers the message that any construction done without planning will be retroactively legalized." “Peace Now: Netanyahu abetting illegal settler building,” Peace Now charged that the Higher Planning Council for Judea and Samaria has advanced plans to retroactively authorize 384 settler homes and to legalize another 372 such structures, as well as to advance plans for 1,531 new settler homes this year. “Israel Quietly legalizes pirate outposts in the West Bank,” Isabel Kershner quotes Hagit Ofran and uses Peace Now’s aerial photographs in her major feature on Israel’s efforts to legalize outposts in the West Bank, such as Mitzpe Danny. “Will Israel hold referendum over two-state solution?” Ben Caspit reports on the “Deciding at 50” referendum initiative, which will be launched on September 5. He attributes the idea behind to initiative to Peace Now’s Tzali Reshef. “Peace Now ‘slanders’ activists over Hevron construction,” discusses Peace Now’s campaign against Jewish construction in Hebron, which features “MK Orit Strok (Jewish Home) and right-wing activists Baruch Marzel and Bentzy Gopstein in cartoon profiles accompanied by the tagline: "He who established 28 housing units in the heart of Hevron wants to perpetuate the conflict and fan the flames in the most sensitive and explosive area of the West Bank." “Israel said planning to build several Jewish homes in Hebron,” Peace Now is quoted saying the expansion plan contravenes a High Court ruling, and their 2008 and 2010 petitions to the High Court are referenced. “Closed doors for Israel aid package,” Yossi Alpher’s weekly Q&A column for APN is quoted in a story about the US aid package to Israel. Alpher says that Netanyahu cut Lieberman out of the process in reaction to the Defense Minister’s comparison of the Iran deal to the 1938 Munich Agreement as a way to coalition tensions and reaffirm the US-Israel security relationship. NGO says Israel seeking settlement move to Palestinian land, Hagit Ofran, Director of Peace Now's Settlement Watch, says "the civil administration has opened a process where it is announcing that it intends to make use of these properties which are near Amona." Israel starts to seize 'abandoned' Palestinian property for Amona relocation, Peace Now says, "This is the crossing of a red line and a reversal of previous policies, including Likud government policies, according to which private lands cannot be used for the purpose of settlement." Far-right claim that many Arabs willing to sell Jerusalem homes to Israelis refuted, Anat Ben Nun, Peace Now's Director of Development and External Relations, says "when homes get sold, it is often done through a 'straw man,' who works together with Israeli settler organizations. The few that sell do so for financial reasons, as they are offered very high sums of money for their properties and face harsh social consequences." "Bill Clinton Would Be an Ideal Middle East Convoy"
What should Hillary Clinton do with Bill? That's easy. She should appoint him as special envoy to Israel/Palestine ​with a presidential mandate to jump start the peace process. Bill Clinton is the perfect person to create bridging proposals and persuade both parties to make crucial compromises. No one in America is more conversant with the issues that divide Israelis and Palestinians and the events that have led them to the current impasse. No one else knows the neighborhood better — not just its leaders but the civil society activists and local organizers who will ultimately make peace a reality on the ground. Because of his role as facilitator of the 1993 Oslo process that culminated in the handshake between Yitzhak Rabin and Yasir Arafat on the White House lawn, and his last ditch efforts at the 2000 Camp David summit meeting with Arafat and Israel's then-Prime Minister Ehud Barak, Bill knows the map right down to the streets in Jerusalem and the squares in Ramallah. He knows where the minefields are — right of return, borders, security, and who controls the Temple Mount. If there's the slightest possibility that this 100-year-old conflict can be brought to a peaceful, permanent conclusion, Bill Clinton is the one who can make it happen. Such an assignment would focus his formidable energy and expertise on this single complex issue and leave the rest of the country for Hillary to run. Board Member Martin Bresler's op-ed, "Why I Do Call Israel Out On The Occupation" is published as a response to David Bernstein's "Why I Don't Call Israel Out On The Occupation."